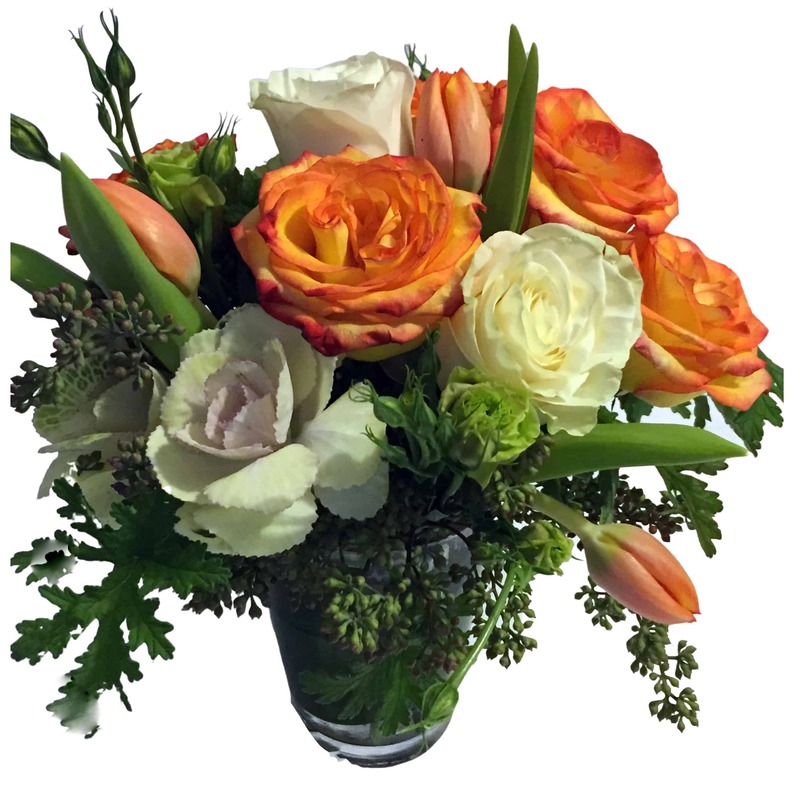 The warmth and fullness of this piece bring the busyness of Rome to life with bright Circus Roses, Tulips, Kale, Berries and greens in a beautiful ti leaf wrapped vase. This beautiful arrangement has a hint of sophistication and lots of warmth that are sure to brighten anyone's day whether in celebration of a job well done or a special occasion. It can also be sent for no reason at all beyond bringing a huge smile to your recipient!